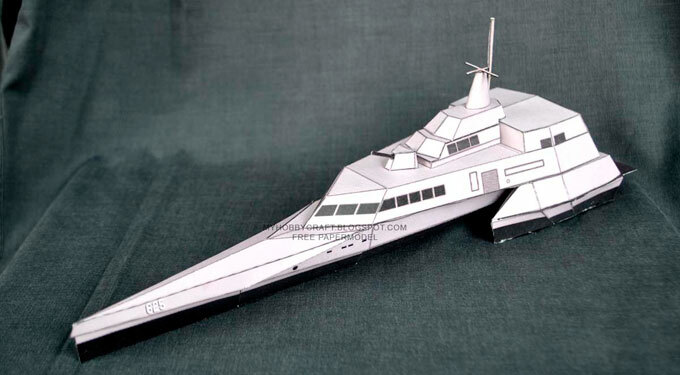 New model from Paperhobby, this is a new stealth ship paper model that Rizky made in 1:200 scale. 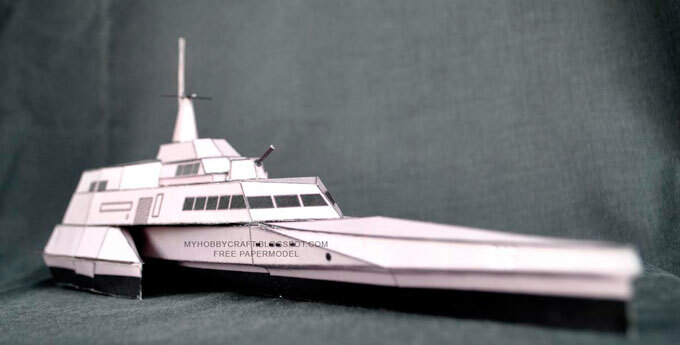 Started with the first maiden launch of this trimaran that belongs to TNI AL, some friends in our group Peri request to anyone in the group who willing to do this model and Rizky accept that challenge. 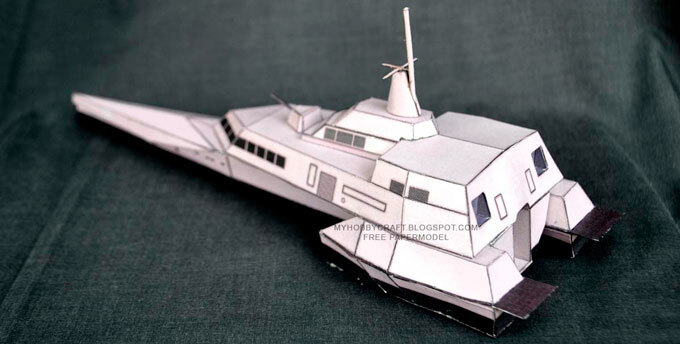 The outcome is this beautiful model, although there were limited source of references of this North Sea Boats made, Rizky finally made it. The vessel is named KRI Klewang 625.